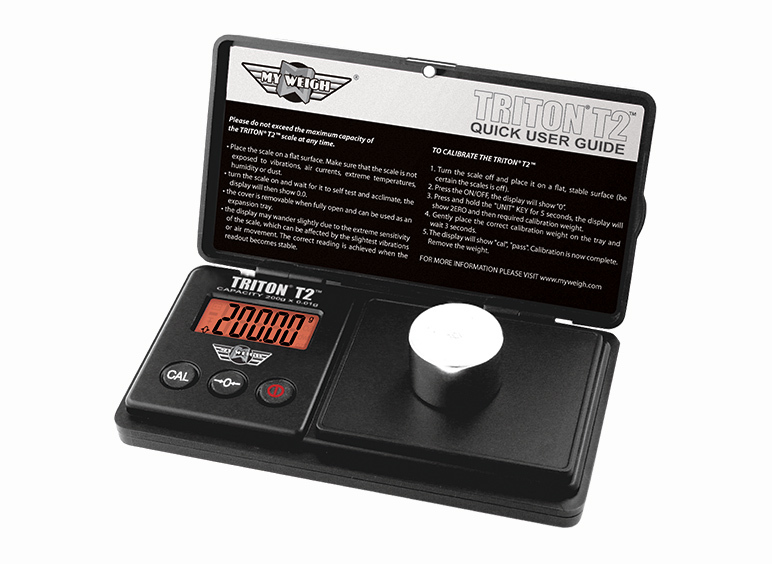 The My Weigh Triton T2 is a proven, affordable and high-quality precision pocket scale. Equipped with a protective hinged cover that doubles as a removable expansion tray, an easy-to-read LCD display, and a 5 Point Overload Protection System to prevent accidental overload. The My Weigh Triton T2 is My Weigh’s best selling pocket scale series and features a best-in-class 30 year / lifetime warranty. T2-120, T2-200, T2-300, T2-400 & T2-550. The My Weigh Triton T2 is part of the Triton Family of Scales.